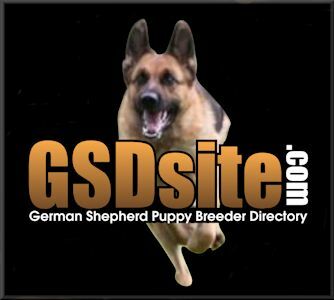 -German Shepherd Shirts, Hats and more. It is no secret that I have a great passion for German Shepherd Dogs. 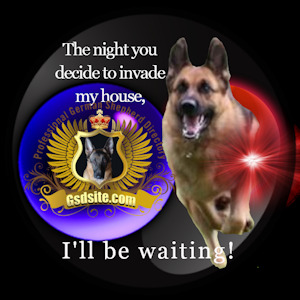 All of the Coffee Cups, Steins, Travel Cups and more.... that are listed on this site category were designed by me for GSDsite.com. 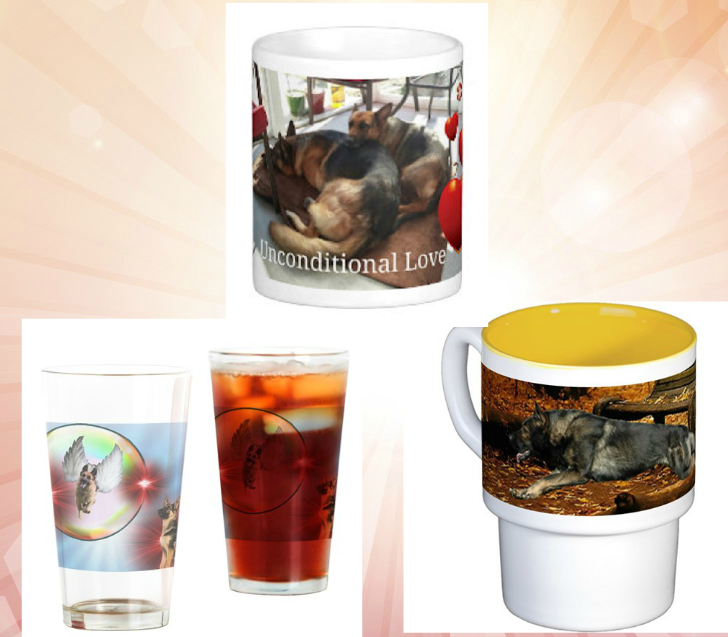 I have designed quite a number of Coffee Cups, Steins, Travel Cups and more.... and therefor I needed to add another category for them to GSDsite.com. I hope that you are pleased with my German Shepherd Coffee Cups, Steins and Travel Cups. 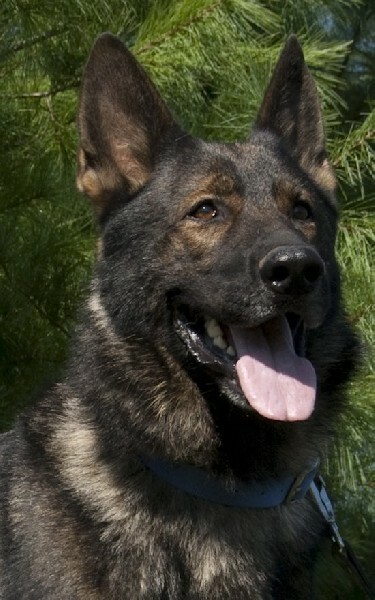 Fantastic Saint Patrick's Day German Shepherd Owner Stein. Great way to celebrate the day. When you have something important to say about your German Shepherd memories, showcase it on a Really nice German Shepherd Coffee Mug. Start your day with a laugh or your German Shepherd Dream Coffee Mug. 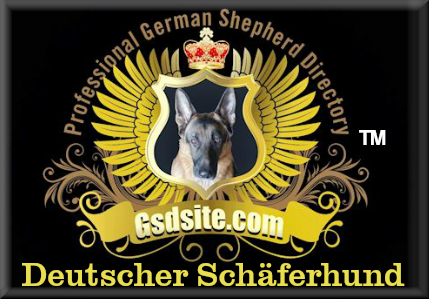 "I will Live And Die for You- I am a German Shepherd"
" Ich will leben und sterben für Sie. Ich bin ein Deutscher Schäferhund"
Magnificent K-9 German Shepherd in His Cruiser Watching a Shopping Center! When you need that extra jolt of caffeine, reach for your extra-large German Shepherd coffee mug from GSDsite. 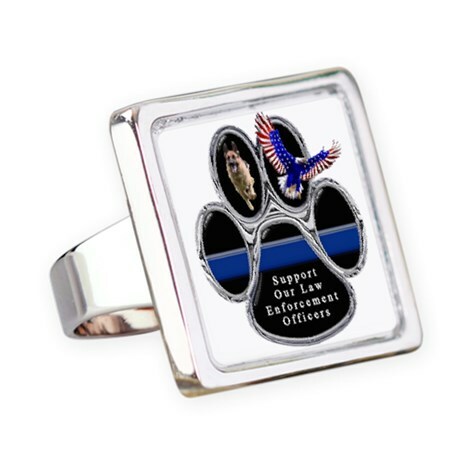 This is a great German Shepherd Law Enforcement gift idea! "Today I am Irish" - Don’t just drink beer, celebrate it with a made-to-order GSDsite beer stein.